My wife currently has an Employment Authorization+Advance Parole card combo, but it will expire in July. 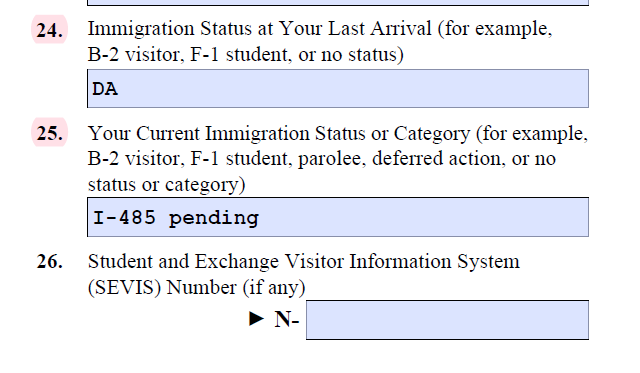 From what I understand my wife will have to file I-131 and I-765 and send it to USCIS. I do have a question while filling out the I-765 (2019 version). I am wondering if the answer on number 24 and 25 are correct? She recently come back to the US from vacation so that is why #24 is District Authority (using Advance Parole). I think #25 would be I-485 pending? Or it could be Parolee? Thank for your help.